Paris has officially held the title of the world’s most visited city since 2013 and although it’s clearly extremely popular with tourists, visiting the city can also be a very bewildering experience. Take it from someone who knows, it’s always better to do some research before visiting a city. That way, you can avoid tourist traps and avoid getting ripped off. Most important of all, you can get to know the REAL Paris. Follow my insider tips and let me be your guide to the city of lights. Go to a real French restaurant. There are so many restaurants around the city that it’s quite difficult to know which are authentic and which are not. Unfortunately a huge amount of tourists get duped by ‘French looking’ restaurants that simply serve poor quality food at a high price. We can recommend two restaurants that will not disappoint. 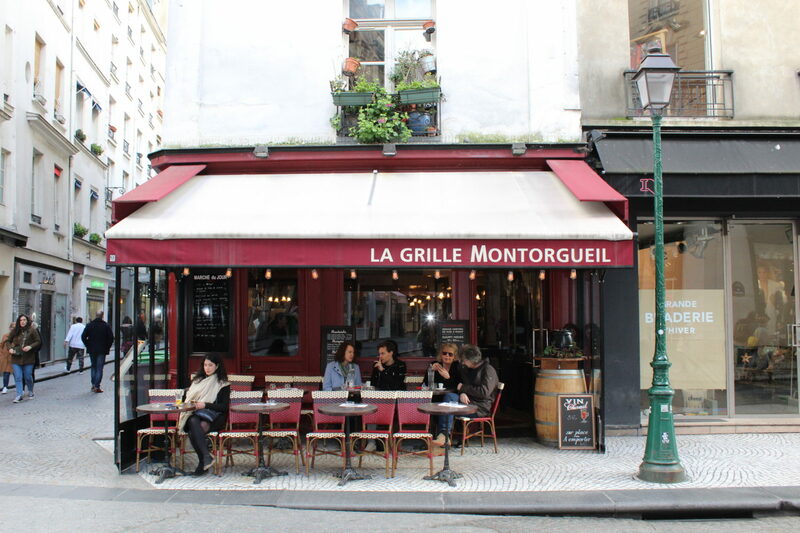 This little restaurant in the heart of the 6th arrondissement is one of my absolute favourites. The restaurant has a great set menu for lunch and dinner and is excellent value for money. Last time I was there I had snails in garlic butter, duck breast cooked in an orange and ginger sauce with sautéed potatoes and a chocolate fondant with violet ice cream. It was absolutely to die for and was melt in the mouth delicious! This restaurant is a wonderful place to take friends and family for a traditional, delicious and very reasonably priced French meal. With excellent and friendly service and the chance to have dinner in one of the most popular areas in Paris, it’s a restaurant you have to try. Just 800 metres from the heart of Montmartre lies a beautiful restaurant that’s just wai ting to be discovered. With its medieval architecture and overflowing ivy covering the outer walls. Le Basilic offers some amazing set menus which are great value for money. You can choose between the menu plaisir at €24.90 or the menu express at €11.90. The menu plaisir includes a starter, a main and a dessert whereas the menu express includes either a starter + a main or a main + a dessert. The food is excellent and the rapport qualité prix is excellent. Visit a museum off the beaten track. Everyone comes to Paris to vi sit the Louvre or Musee d’Orsay, focusing on their impressive exteriors and consequently forgetting about the smaller but equally as enjoyable, museums. Insiders recommend the Musee Rodin, a smaller museum that is dedicated to the works of French sculptor Auguste Rodin. The museum was created around Rodin’s house and while visiting you can explore the beautiful gardens as well as the interior of his beautiful home. There are a large number of sculptures to see, most of which are in the garden. They include some of Rodin’s most famous work; the Thinker, the Gates of Hell and Adam. If the sun is shining then this is the museum to visit. Try out a Parisian Terrace. The terrace on top of Printemps department store in the 9th arrondissement is one of the most beautiful places to take in the view of the city. It has a 360 degree view of the city from the 9th floor offering you the chance to see the Eiffel Tower, Sacre Coeur, the Grand and Petit Palais, the Opera house and much much more. The terrace has a number of tables where you can have a drink and a snack, as well as some fake grass with some gorgeous white benches where you can sit and take in the view. Access to the terrace is completely free but food and drink is available to buy from the self-service canteen! A lot of people come to Paris and go directly to the parks in the centre of the city such Luxembourg or the Tulieres. Don’t get me wrong these are stunning parks but almost every tourist goes there, why not try something new? Buttes Chaumont is a public park situated in the north east of Paris, in the 19th arrondissement. The park has been open since 1867 and unlike the other parks in the city, it features rolling hills and a temple that is perched 50 metres above the water on a cliff top! It offers an incredible view of Paris and includes a lake, a waterfall and even an old railway bridge! is a bar that’s authentic and offers you a real taste of French culture. Ma Cave Fleury is exactly that. Owned by former comedienne Morgane Fleury, the bar and its owner are charming and unique. The wine is affordable and the bar is adorable, a must visit while in the city. The Jardin des Plantes is the main botanical garden in Franceand has s o much to offer. There is a small zoo, a children’s play area, two greenhouses and even a restaurant! Inside the park you will also find the National History Museum with its Gallery of Evolution and Dinosaur skeletons. There is also a small private garden inside the park which includes a number of rare and unusual flowers. It is an incredibly beautiful place to visit and fun for all ages. Everyone loves French food and everyone loves eating French food but no one goes home knowing how to make it! Why not do something different on your next trip to Paris and enrol in a cooking class? La Cuisine Paris offers great cooking classes in English for a very reasonable price. This is something that tourists and Parisians alike love to do! Paris has a very famous flea market located close to the 18th arrondissement, only a short train ride away. The market is always bustling and full of life. It’s also full of history and inspired famous artists such as Picasso, who used to walk around the market, searching for inspiration. The market is full of knick-knacks, books, records, furniture and so much more! Open Saturday, Sunday and Monday it’s a great place to spend a day and is something fun and unusual to do! Have a history lesson in Paris’ Roman Arena. I’m sure you are now thinking…what? A Roman Arena in Paris? Is that even possible?? Well yes it certainly is. The Arènes de Lutèce is the most famous remains of Gallo-Roman era and used to host an array of wild animals. Gladiator shows took place in the arena where crowds of people came to watch. The arena was discovered in 1860 during the building of Rue Monge and was protected by Victor Hugo and other intellectuals who spearheaded a campaign to excavate and protect it. It’s a beautiful place and like nothing you have ever seen in Paris before! So, on your next trip, why not follow my insider’s guide and get to know the real Paris?